Nashville is now the first city in Tennessee to decriminalize small amounts of marijuana. 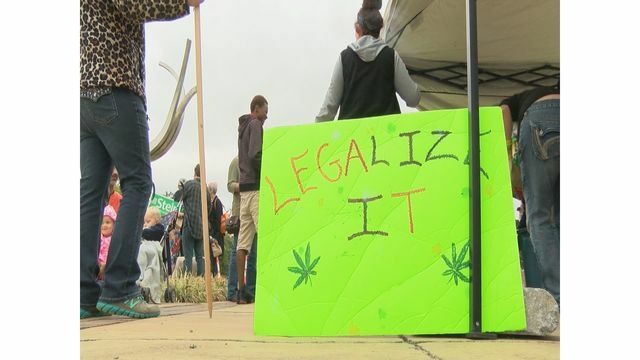 “I’m a true believer in it should be free for everyone to grow, and use their own medication, it should be a choice to use,” supporter Jerry Van Huss said. Supporters perched on the corner of West State of Franklin and University Blvd. In an effort to get medical marijuana decriminalized in our area. Organizer, Seth Greene has cerebral palsy and he said he has a friend in California whose condition has improved from medical marijuana. “It’s not fair and we the people, should be able to choose what we do with our body. If that happens we can do more research on cerebral palsy on to whether it can fully cure it because I know it helps it does not cure it fully,” Greene said. 24 states and the District of Columbia allow medical marijuana use, this group hopes Tennessee is added to the list. “No one is trying to force anything on everyone but please find out the truth and educate yourself, change these laws,” Van Huss said. Seth Greene told News Channel 11 he hopes to meet with local leaders to continue his efforts.